usage garments, bags, shoes, hats, gifts, luggage, toy, towel products, home textiles etc. 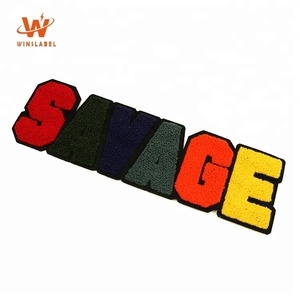 wholesale iron on custom uniform name logo machine woven sports fabric patches and badges for cloth products description welcome to doylabel world! 2 YRS Xiamen Ronices Industry & Trade Co., Ltd.
ronices manufacturer employs a talented team of designers and printers who design and then customize every jersey or jacket by hand. because we are so confident in the quality of our print and design teams, we guarantee all print services to last the life of the uniform against manufacturing errors. Q: Will I have to supply my own artwork or can you design it for me9 A: It is best if you can supply your artwork as PDF or AI format file. Q: What express delivery is available9 A:We have preferential contract rate with FedEx and DHL, and can provide good freight service to you with low freight charge. If you have any other questions, please write email to us or call us, we will reply you ASAP. in terms of material, woven patches are available in cotton, taffeta, damask, and satin; what&rsquo;s more, you have your choice of iron on, self-adhesive, and printed labels. hot cut borders are more ideal for complex custom shapes, whereas merrow borders are more suited for basic shapes such as circles, ovals and squares. Color as per customer's requirement Size as per customer's requirement Logo Style Flock technics has strong 3D effect. Shape Any normal or special shape, as per customer's requirement handicraft Computer weaving Feature 1.Eco-friendly; 2.With self-adhesive, Eaily to be transfered; Easily transfered by iron. Type Iron on Transfer temperature: 130-150degree Transfer time: 8-10 seconds Peeling way: cool peeling MOQ 500pcs Payment 40% in advance by Western Union,TT the balance paid before bulk shipment. all material quality is strictly checked. depending on the shipping provider you choose, shipping date estimates may appear on the shipping quotes page. 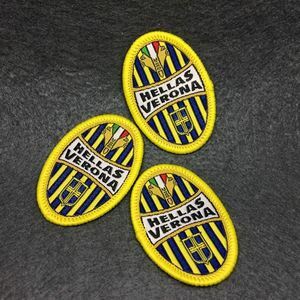 High quality custom sports team badge embroidery patch Products Details Product name: Custom embroidery patch, embroidery badges, embroidered patch Material 35% Nylon 65% Polyester Crafts Embroidery Color/Logo Customized Size Customized Backing Heat seal backing / plastic backing / no backing / Adhesive backing Usage Gifts, Crafts, Advertisement, Promotion, Collection, Souvenir etc. 98 TongZiPo Road,changsha(Hunan province,china) Zip: 410006 Our product includes hand embroidered badges, hand embroidered emblems, Bullion Appliqu&eacute;s, bullion crests, family crests, military badges, wire bullion badges, cap badges, rank badges, regalia badges, club badges, school uniform badges, yacht club badges, golf club badges, coat of arms, army emblems, navy badges, patches, emblems, insignias, Masonic regalia, embroidered seals, motifs, decorative motifs, banners, flags, rank insignias, collars tabs, cuff titles and personal identification marks in gold and silver bullion wires and silk threads. Our products are mainly used by Army, Navy, Ai r Force, Police, Customs, Schools, Colleges, Universities, Railways, Airlines, Fire Fighter Dept, Sports Clubs, Musical Clubs, Golf Clubs, Bowling Clubs, Country Clubs and all other Governmental Department and Fraternal Societies. Alibaba.com offers 16,069 sports patches products. About 10% of these are patches, 1% are garment labels, and 1% are badges. 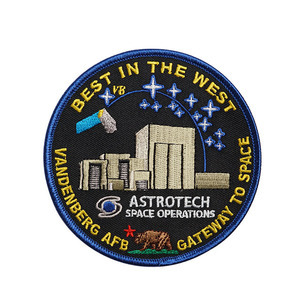 A wide variety of sports patches options are available to you, such as 3d, eco-friendly, and handmade. You can also choose from iron-on, sew-on, and stick-on. As well as from printed, embroidered, and appliqued. And whether sports patches is patches, or garment labels. There are 16,069 sports patches suppliers, mainly located in Asia. The top supplying country is China (Mainland), which supply 100% of sports patches respectively. 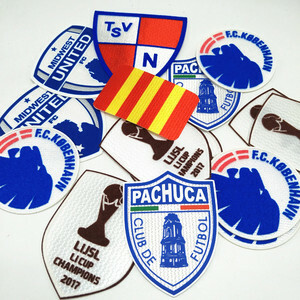 Sports patches products are most popular in North America, Western Europe, and South America. You can ensure product safety by selecting from certified suppliers, including 3,734 with Other, 1,156 with ISO9001, and 554 with BSCI certification.